Dr Yasmin George is used to treating patients requiring a wide variety of procedures and you will always find her understanding, caring and empathic. Yasmin qualified at Guy’s Dental Hospital in 1988, she is is currently completing an MClinDent in Orthodontics and wasrecently awarded a Fellowship from the IADFE. Yasmin has taught at King's College Faculty of Dentistry, and is on the Panel of Examiners for the Certificate in Dental Sedation Nursing. 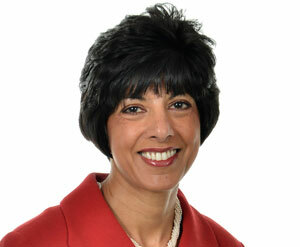 Yasmin is also part of the Visiting Faculty and on the Advisory Board at The Pankey Institute in Florida. Yasminis based in Surrey and Kent; she offers a wide range of orthodontic treatments for adults and children, including 'invisible' types of braces .She has also worked extensively with Damon braces, and has been involved in Dental Sleep Medicine and snoring treatments for over 15 years. She has been providing the Somnowell appliance to her patients for many years and has been delighted with the results.